Jails in Indian Country, 2014 (pub. Oct. 2015) - Compiled by the Justice Department's Bureau of Justice Statistics, this comprehensive report presents data from jails and detention facilities operated by tribal authorities or the Bureau of Indian Affairs. In the December 2007 Edition of Criminal Justice Studies, David V. Baker presents the first comprehensive study of Executions of Native Americans. Before the European exploration and colonial conquest of North America, the indigenous population consisted of more than 700 separate cultural units speaking more than 300 languages. A greater number of Indians were killed through European conquest than the number of Europeans killed by the Black Death pandemic in the 14th century. The first legally sanctioned execution of a Native American occurred in 1639. Military authorities beheaded Nepauduck for the murder of Abraham Finch, a white man. While thousands of extra-judicial lynchings of Native Americans occurred in early American history, 464 Native Americans have legally been executed. In 1711, the first recorded execution of a Native American woman occurred when Waisoiusksquaw was hung in Connecticut for the murder of her husband. D. Hearn, Legal Executions in New England: A Comprehensive Reference, 1623–1960 (McFarland 1999). On December 26, 1862, following the U.S.-Dakota War of 1862, the federal government hanged thirty-eight members of the Dakota tribe in Minnesota. It was the largest mass execution in United States history. Two days after the Dakota surrendered at Camp Release on September 26, 1862, a military commission began trying Dakota men accused of participating in the war. The rapid trials—some no more than five minutes—of 392 prisoners were completed in November. According to the Minnesota Historical Society, 303 men were sentenced to death and 16 received prison terms. After reviewing the trial transcripts, President Abraham Lincoln provided a list of 39 names of prisoners to be executed. One received a last minute reprieve. On the morning of December 26, 1862, in front of an estimated crowd of 4,000 spectators and on a specially constructed mass-hanging scaffold, the men were executed. They were left dangling from the scaffold for a half hour. After the execution, it was discovered that two men had been mistakenly hanged. The Minnesota Historical Society reports that "Wicaƞḣpi Wastedaƞpi (We-chank-wash-ta-don-pee), who went by the common name of Caske (meaning first-born son), reportedly stepped forward when the name 'Caske' was called, and was then separated for execution from the other prisoners. The other, Wasicuƞ, was a young white man who had been adopted by the Dakota at an early age. Wasicuƞ had been acquitted." Sources: Minnesota Historical Society, The U.S.-Dakota War of 1862: The Trials and Hanging. Isaac V. D. Heard, History of the Sioux War and Massacres of 1862 and 1863, NY: Harper & Bros., 1863. The American native crime victimization rate is twice that of non-Indians. National crime victimization surveys reveal that whites perpetrate 57% of the violent crimes committed against American Indians. 80% of sexual assaults against Native Americans are perpetrated by whites. The incarceration rate of Native Americans is 38% higher than the national rate. The U.S. Commission on Civil Rights attributes this higher rate to differential treatment by the criminal justice system, lack of access to adequate counsel and racial profiling. Law enforcement agents arrest American Indians and Alaskan Natives at twice the rate of the greater U.S. population for violent and property crimes. On average, American Indians receive longer sentences than non-Indians for crimes. They also tend to serve longer time in prison for their sentences than non-Native Americans. The suicide rate is higher among American native inmates incarcerated in jails than non-Indians. Within the prison system, Native Americans are often subject to abuse when attempting to identify with native cultures through the wearing of head-bands, using native languages, maintaining long-braided hair, listening to native music, and securing culturally-related educational material. Sources: David V. Baker American Indian Executions in Historical Context, Criminal Justice Studies, 20:4, 315-373 (2007). E. Hensen & J. Taylor, Native America in the New Millennium (Harvard University 2002). C. Mann, Unequal justice: A question of color (Indiana University Press 1993). M. Severson & C. Duclos, American Indian suicides in jail: Can risk screening be culturally sensitive?, U.S. Department of Justice, National Institute of Justice (2005). As of July 1, 2017, 26 Native-American prisoners were on state or federal death rows in the U.S., which is 0.9% of the national death row population. The number was down from 31 on April 1, 2015. Eight states and the federal government hold condemned Indian prisoners. As of October 1, 2015, 16 Native Americans have been executed since 1976, accounting for 1.1% of all exercutions in the United States since 1975. Thirteen Indian prisoners have been executed for killing whites, two for killing other Native Americans, and one for killing a Latino victim. Native Americans have been victims in 4 cases that have resulted in execution, comprising one-quarter of one percent of the victims in cases that have resulted in executions. Between 1979-1999, whites killed 32% of the 2,469 Indians murdered, whereas Native Americans killed 1% of the 164,377 whites murdered. Sources: David V. Baker, American Indian Executions in Historical Context, Criminal Justice Studies, 20:4, 315-373 (2007). S. Perry, American Indians and Crime: A BJS Statistical Profile, 1992–2002, U.S. Department of Justice, Bureau of Justice Statistics (2004). Two Native Americans were sentenced to death by U.S. states in 2017: Cherie Rhoads, in California, in April 2017; and Alan Champagne, in Arizona, in September. Under the federal Major Crimes Act, states have no jurisdiction to prosecute murders committed by Native Americans on lands designated as “Indian country.” Instead, the Act gives the federal government exclusive jurisdiction over these crimes. 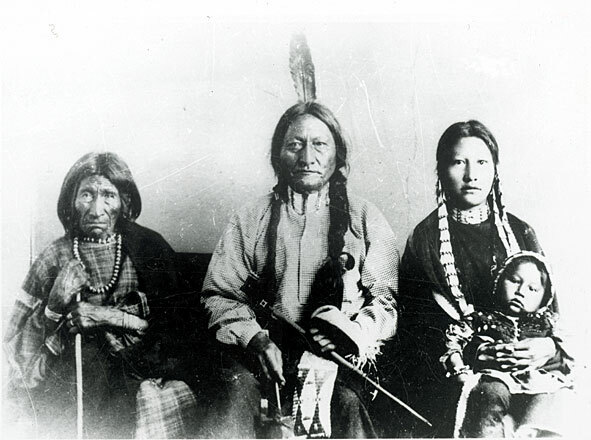 States have from time to time improperly attempted to prosecute Native Americans for murders occurring in Indian country, typically in circumstances in which the status of the land on which the murder occurred was in dispute. In March of 2013, both Oklahoma and federal authorities charged David Brian Magnan—a member of the Fort Peck Assiniboine and Sioux Tribes with a triple murder involving two Seminole and one non-Indian victims. He was sentenced to death in the Oklahoma state courts of Seminole County and the Oklahoma Court of Criminal Appeals upheld the conviction and death sentence, ruling that a 1970 conveyance of property rights to the Housing Authority of the Seminole Nation of Oklahoma had extinguished all Indian lands restrictions and subjected any offenses committed on that property to Oklahoma criminal jurisdiction. The U.S. Court of Appeals for the Tenth Circuit, however, vacated Magnan's conviction and sentence, finding that the property had been conveyed in violation of federal law and remained Indian country and that, therefore, exclusive jurisdiction over the murders rested with the United States. Magnan was tried and convicted of the murders in federal court and sentenced to life without parole. More recently, Oklahoma state prosecutors sought and obtained the death penalty against Patrick Dwayne Murphy, a member of the Muscogee (Creek) Nation. On August 8, 2017, the Tenth Circuit granted Mr. Murphy habeas copus relief, finding that the murder had occurred on lands within the borders of the Creek Reservation. The Court wrote: “Because Mr. Murphy is an Indian and because the crime occurred in Indian country, the federal court has exclusive jurisdiction. Oklahoma lacked jurisdiction. ... The decision whether to prosecute Mr. Murphy in federal court rests with the United States.” The U.S. Supreme Court granted certiorari on May 21, 2018 and will hear argument on the case in the Fall. Lezmond Mitchell, a member of the Navajo Nation, was federally prosecuted and sentenced to death in 2003 for an intra-Indian murder committed on Indian lands. Although the Navajo Nation and the victims’ families opposed the use of the death penalty in the case, then-Attorney General John Ashcroft did not require tribal authorization to pursue the death penalty because the offense involved a “carjacking resulting in death,” which gave the federal government jurisdiction over the case independent of the Major Crimes Act. The federal government announced in February 2018 that it intended to seek the death penalty against Kirby Cleveland, a Navajo man charged with killing a Navajo police officer on tribal lands in 2017. In a letter to the New Mexico U.S. Attorney's office, Navajo Nation Attorney General Ethel Branch opposed the use of the death penalty in the case, writing: “The death penalty is counter to the cultural beliefs and traditions of the Navajo People who value life and place a great emphasis on the restoration of harmony through restoration and individual attention.” However, the federal government also jurisdiction over the Cleveland case independent of the Major Crimes Act because it involved the killing of a law enforcement officer while in flight from the commission of an offense.